Wiradjuri Cultural Tours offers tours with Wiradjuri man Mark Saddler, who will share aspects of this culture with you. Full and half day tours are available, as are school based programs, and cultural awareness training programs for schools, business and communities. Wiradjuri people have walked this Ngurambang (country) for thousands of years. They are part of this garray (land). Come and find out more about their culture. 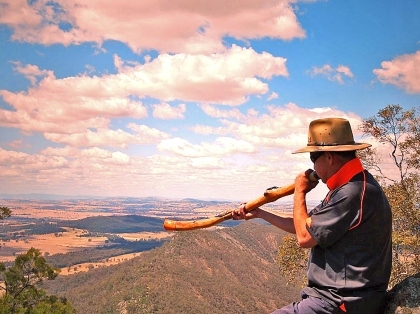 From learning about didgeridoo making to bush tucker and the Wiradjuri Aboriginal language, you will experience passion first hand as Mark shares stories of the oldest living culture on the planet. Winery and shopping tours are also available.